Murcia Cathedral is more than 600 years old and is one of the most beautiful in Europe. Crowned with a fine Bell Tower, the highest in Spain, it also has a magnificent baroque Portal made from soft sandstone and marble,work of the architect Jaime Bort.El plateresco the Spanish early renaissance style, can be seen in the facade of the Cross and also in the Chapel,Capilla de los Vélez. In the Salzillo Museum one can admire the sculptures and dais from Francisco Salzillo, the famous sculpter from Murcia. At Easter, these magnificent figures, which almost seem alive and are so rich in colour, are placed on flower covered thrones and carried on the shoulders of the Nazarenos (Brothers) through the streets of Murcia. The origins of Cartegena go back to ancient times and it's history is lost in it's many legends. In the 8th century BC the first settlement has been identified as Mastia being a main centre of a tribe called the Mastienos, a civilization known for their culture and generosity. In 223 BC they signed a Peace Treaty with Asrubal Janto, a General representing the Carthegian Army. The town's name was changed into Kart-Hadastin memory of Carthage in Africa and from thereon it became the capital of the Carthegian Empire in Spain. The small towns that have sprung up on the shores of the Mar Menor owe their existance to the nearby towns of Murcia and Cartegena. About 700.000 people have settled here within 50 kilometers distance of its shores. 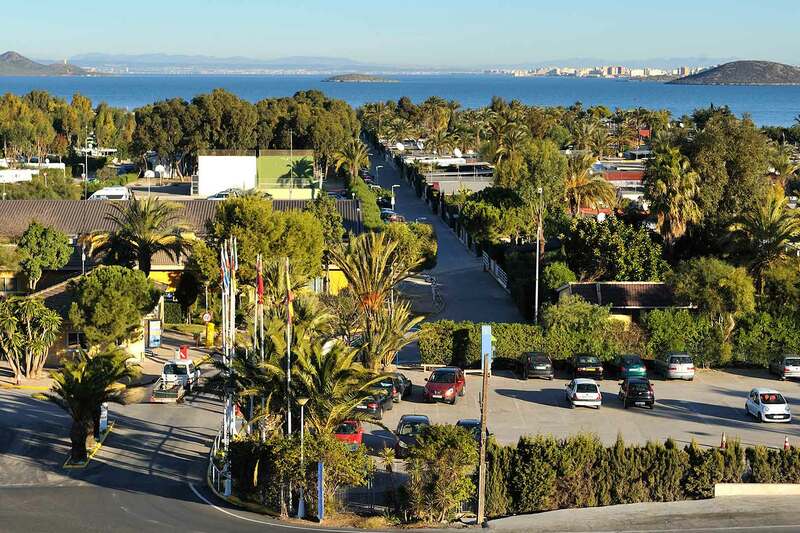 The high summer teperatures in the capital town of Murcia drive the population to the shores of the Mar Menor. This is the reason why this area is not so touristic, rather more a family summer resort. La Manga, the narrow, sandy strip of land 24 kilometers long, was not inhabited until 1960. It was previously owned by one family who had utilized a special way of fishing called encanizados. (inshore nets) Later it was recognised what outstanding opportunities the Lagoon could offer as an area for vacation and so began the touristic development of La Manga. Within 40 years it was changed from a unique natural paradise into an unbearable place, where you can count over 300.000 people in the Summer.. The beautiful beaches on both Seas are the only reason why so many Tourists return there each year. 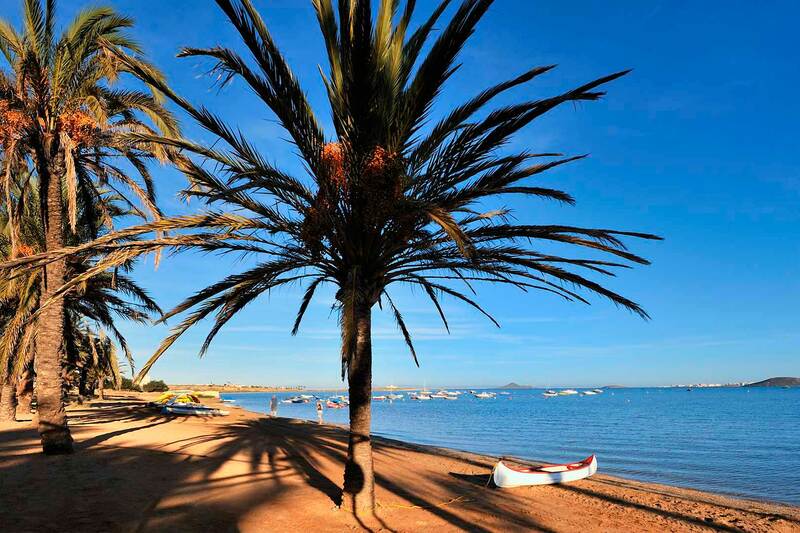 In La Manga you will find the local population on family holidays as well as international tourism. In this section we are endevouring to show you the comparison of the old Mar Menor versus the new.